If you haven't yet joined the Fetch Rewards program, you may want to consider it now. Now through Tuesday, April 16, 2019, new members will get a FREE 3,000 point bonus when you enter my referral code FB4KG at sign up and scan your first grocery receipt. Rewards start at 3,000 points, which includes Amazon, Target, Panera, and a few other options. 1. Download the Fetch app. 2. Enter referral code FB4KG when you sign up to earn a 3,000 point bonus, which is equal to $3.00! Remember to enter the code before you add your first receipt. 3. Once you make a grocery purchase, scan your first receipt into the Fetch app. Once uploaded you'll instantly have the points to redeem. 4. You can redeem your points for a $3 gift card to Target, Amazon, or a few other options. It's really that easy! You can also opt to continue to build up your points for higher value gift cards. Some of my favorite options are Amazon and Target. 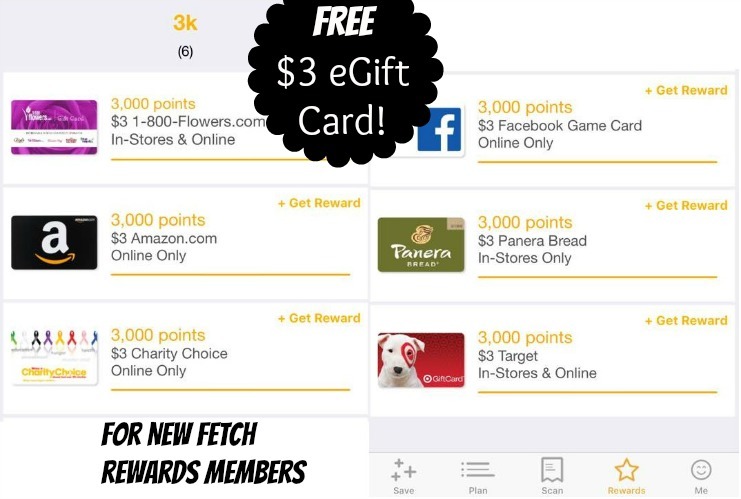 So download the Fetch app and use promo code FB4KG to get started! Offer expires April 16, 2019. For more information on how Fetch Rewards works, click here.